Charismatic leaders are believed by their followers to have superhuman powers. The faithful are willing to sacrifice everything, including themselves, for the sake of this leader. How can we understand this seemingly irrational phenomenon? Using a number of perspectives that take into account group dynamics, individual character, and the social milieu, this book – now available in paperback – argues that charismatic involvement is a deeply embedded potential for all human beings. The theory is tested through specific cases: Hitler′s Germany, Manson′s Family, Jonestown, and the experience of Shamanism in non–Western societies. 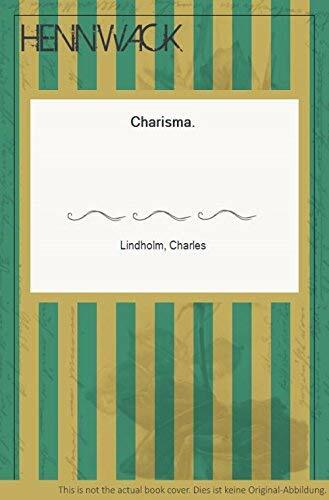 The book concludes with a discussion of alternatives to charisma in modern society, focusing especially on romantic love, and considers the form future charismatic movements may take. In a new concluding chapter to the paperback edition, Charles Lindholm examines the differences and similarities between romantic love and devotion to a charismatic figures, and considers two recent examples: Ronald Reagan and Lech Walesa. Moe's Books has been selling new, used, and antiquarian books for over fifty years. Our store has four floors, a separate rare book room, and over 300,000 books. We are located in the heart of Berkeley, four blocks from the University of California campus on historic Telegraph Avenue. Please check out website for more information about the store and our event information. We have many of our readings available as free audio downloads. You can also contact us with want lists or questions about our inventory. Books may be returned only if not as described. Orders usually ship within 2 business days. Shipping costs are based on books weighing 2.2 LB, or 1 KG. If your book order is heavy or over-sized, we may contact you to let you know that extra shipping is required. International shipping rates are based on the book being able to be shipped via Global Priority. Over-sized or heavy books to be shipped by air mail will require additional postage. Additional postage is quoted at cost.